Dreaming of visiting exotic locations, exploring faraway lands and immersing yourself in another culture; all without foregoing any of the creature comforts you’ve come to expect from a vacation? Consider taking a cruise in a far off exotic location. You can eat, drink, sleep and see the world all from the comfort of these floating resorts. Vietnam, China, and Thailand. Many of these cruises are even offered as river cruises, allowing guests to get up close and personal with more of the country’s people and sites. Read on to learn about three of most exciting Asian river cruises available. Tour the Thailand jungle along the River Kwai. The prices are very reasonable and your seven day cruise includes river-front cabins, gourmet meals and all the sights and sounds of Thailand’s jungle. You will take in the scenic beauty of the villages lined along the shore’s banks, as well as spectacular palaces, temples and a floating market. Shore excursions offer the chance to interact with monkeys, ride elephants at Sai Yok Elephant Village or even pet tigers at the Tiger Sanctuary Temple. A stop at the Royal Grand Palace will take your breath away, as will the Sai Yok Yai waterfalls. Cruise passengers also get the chance to explore the bustling city of Bangkok, from its cuisine to its nightlife. Thailand offers you that Jungle Cruise feel like the Dineyland ride but for real. This is a great choice for the exotic traveler looking for something very unique. Get a personal tour of a country long closed off to Westerners by traveling the Mekong River of Vietnam. This river flows through a few countries but mainly Vietnam and Cambodia. Board one of the recently-constructed ships, and enjoy the private, river-view rooms, restaurant, bar and stunning views from the top deck. Visit Vietnam’s villages, and take in the sites of old Saigon in Vietnam including the Cu Chi Tunnels. You’ll also visit the Artists D’ Angkor and Angkor Wat Temples of Siem Reap, Cambodia. Mekong River cruises also feature live entertainment and shows for passengers. This trip shows off the inner beauty of Vietnam which diplays some of the most beautiful shades of greenn you will ever see. Plus Vietnam and Cambodia are chalked full of historic UNESCO world heritage sites. 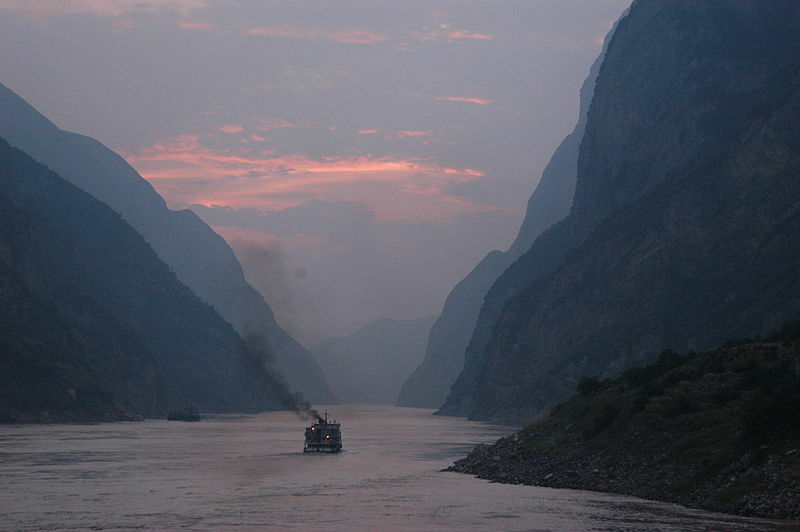 Explore the heart of China via the Yangtze River. 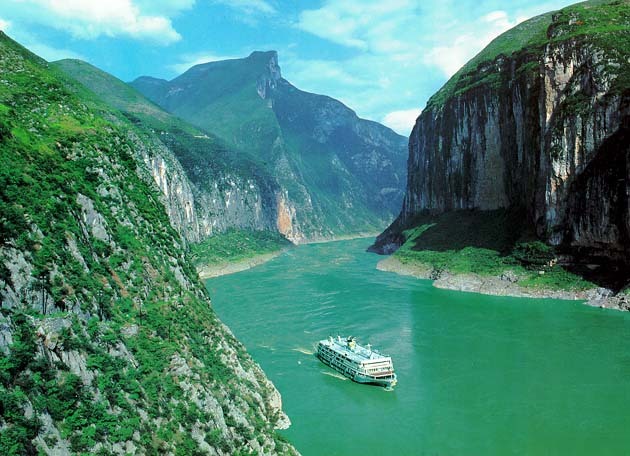 Some of China’s most amazing historical landmarks and innovative structures can be seen during this cruise. From the Forbidden Palace and Great Wall in Beijing, to the Panda Zoo in Chongqing, the Yangtze River cruise takes passengers to the best these ancient cities have to offer. The Three Gorges Dam, one of the world’s largest hydroelectric power stations, is also located along the banks of the river and a popular destination among tourists. You’ll also enjoy a Peking duck dinner, as well as Kung Fu and acrobat shows. River cruises provide a different way of traveling and exploring other countries. Passengers have the opportunity to visit both small villages and big cities. It’s one of the best ways to truly experience another culture. Thomas enjoys taking tours that are less traveled like his most recent cruise down the Mekong River in Vietnam. Connect with him on Google+.